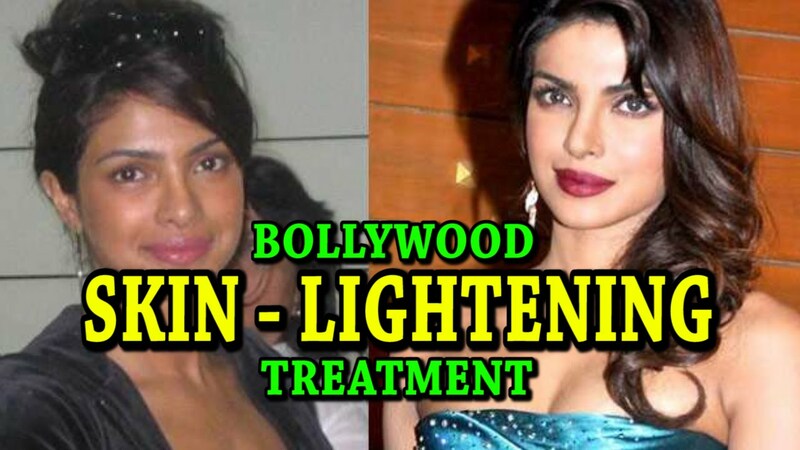 Skin lightening is an age old beauty practice and very popular among dusky people. Bollywood is also not untouched by this practice. As we all know that bollywood is famous worldwide for its musical sagas and not to fprget the gorgeous divas like Priyanka Chopra, Deepika Padukone and so on. 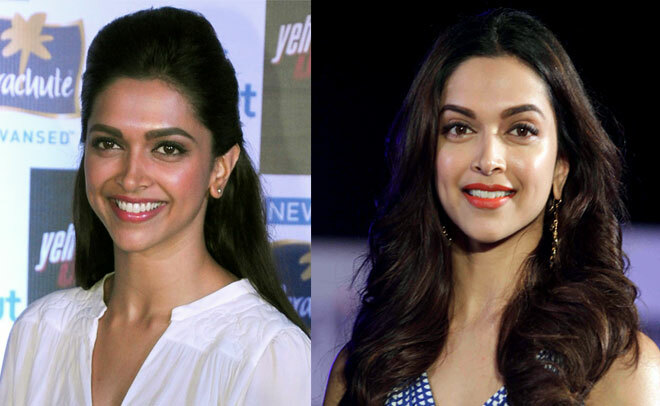 But did you ever notice almost all Bolly beauties are fair-skinned? You will hardly notice any dusky skinned B-actress. Our country is so obsessed with fair skin that even the Bollywood celebs are forced to go through skin lightening treatment to survive in the industry! Indians grow up believing that fairness is the symbol of true beauty. 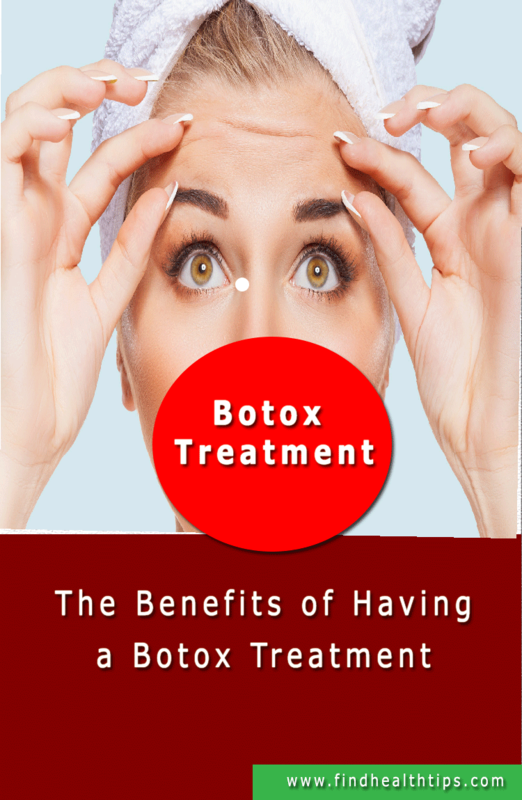 It’s quite common to see Indian women using excessive skin lightening beauty products and treatments. This lust for ‘Fair skin’ is so deep in the minds of people that even the Bollywood industry isn’t spared.It’s quite hard to believe, isn’t it? But there are many Bollywood actresses who have undergone the treatment to succeed in their profession. We have made a list of such divas and you won’t believe who are in this list. So, go ahead and take a look! Kajol is one of the famous Bollywood actresses who is known for her excellent role in movies like Bazigaar, DDLJ, Kuch Kuch Hota Hai and so on! She was called the bold bong beauty who could carry off her dusky complexion with ease and confident. But after some time she decided to go through a transformation and change herself into a fair skin diva like the others. She underwent a skin melanin surgery which gave her the present lighter skin tone. However, she has denied going through such a surgery and claims to have undergone some kind of ‘Stay-at-home’ surgery! Shocking, isn’t it? But even our favorite diva PC has undergone skin lightening treatment. If you closely observe her pictures properly you will notice a striking difference between the pictures from her Miss World Days and the present ones! Not only she seems to have got a nose-job but also rumored to have undergone skin lightening surgery. You can clearly see in the pictures how all her duskiness has vanished! Bipasha is another bong beauty who was quite well-known for her dusky skin tone. She used to confidently flaunt her skin without any hesitation. She was voted as one of the sexiest Asian women in the years 2005 and 2007. She even said she was quite proud of her skin tone. However, in the recent years, she has changed her mind probably because of the taunts and comments of people. And now she also endorses a fairness beauty product! Yep, she is also on the list but was recently added. Although she looked gorgeous in her tanned skin tone but the celeb status made her go for the fairer skin. She underwent a fairness treatment surgery in the recent years. She is also a brand ambassador of one of the most popular fairness beauty product! Although, Shilpa has stayed away from her acting career but recently she came under the limelight for her rumors about her skin fairness treatment. According to the sources, she had treatment sometime before her pregnancy. But when asked, she said it was nothing but a pregnancy glow! Now it’s up to you to decide. 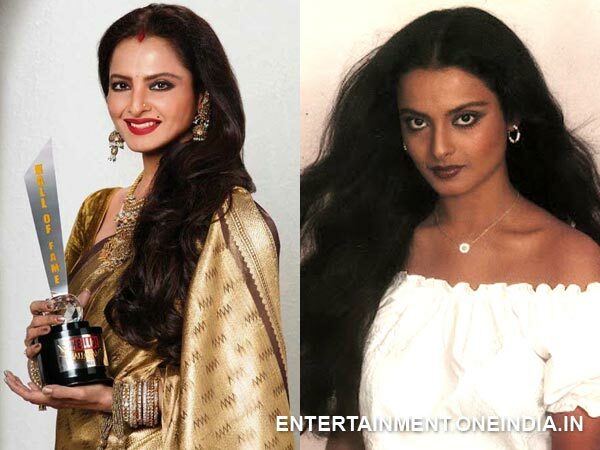 The ever gorgeous and fair diva, Rekha was not always fair. If you closely look at the pictures of her younger version then you will find that she used to own a duskier skin. However, she looked as beautiful as she looks today. But the society pressure and the celeb status forced her to go for the surgery. Surviving in the Bollywood industry is not so easy. Not only one has to struggle way too hard but also needs to look gorgeous! In a country like India where fairness is considered beautiful, dusky skinned don’t really flourish much in the cinema world. 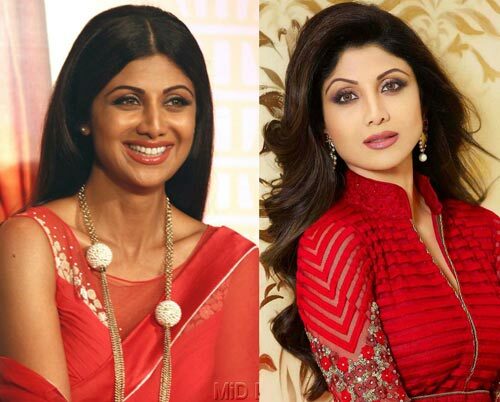 So, the B-town celebs get this skin fairing treatment to go ahead in their career. There are only a few celebs like Kangana Raunat who have publicly announced they won’t ever endorse fairness products and also encourage people to love their skin. The industry needs more celebs like her so that they can be a role model for millions out there.